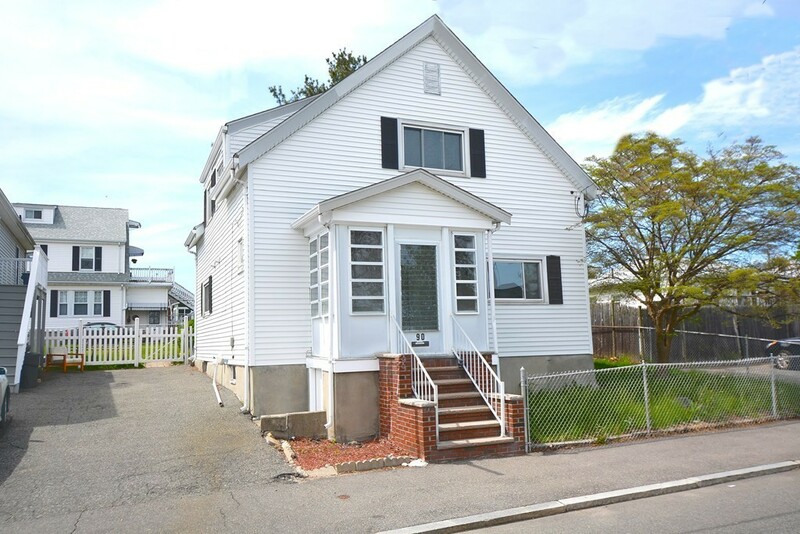 Directions: Off Park Street Or Off Mountain Ave.
West Revere Single featuring 4 bedrooms 2 full baths, 1 of the bedrms & full bath on main level. Ample space in living/dining rm space, large eat-in, updated kitchen with granite-tiled floor, granite counter tops, newer appliances, Huge enclosed back porch, Den/office 2nd fl, beautiful fenced-in yard, ample storage in the attic and basement, newly done hardwood flrs, AC for the hot summer months coming ahead, public transportation two blocks away, Beach is just 3 miles away, Easy access to main route & Boston. Carefully review Seller's Disclosure of home condition. Esta casa es de buen tamao, esta en un area muy cotizada, 3 cuartos en el 2ndo nivel, 1 en el nivel principal, sala/comedor, cocina super linda y amplia, yarda hermosa, salon de patio/verano encerrado, cuarto para TV/oficina y pisos de madera nuevecitos y Aire Acondicionado. Revisar detalladamente documento de la condicin de propiedad.